Dwayne Dever is the Director of Information Technology for Scarbrough International, Ltd. Dwayne provides leadership for the development, implementation, support, and effective use of an innovative and secure information technology environment that is aligned with the needs of internal and external clients. In addition to providing volunteer services to various community organizations, Dwayne is a member of the International Association for Cryptologic Research (IACR) and the Free Software Foundation (FSF). He holds a Master’s degree in Information Security and Assurance, a Bachelor’s degree in Mathematics, and has earned Purdue University’s Lean Principles and Lean Six Sigma Green Belt certifications. Additionally, Dwayne is a Certified Ethical Hacker, Certified Hacking Forensics Investigator, and a CargoWise Certified Professional. 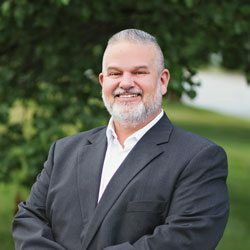 Prior to joining Scarbrough International, Ltd., Dwayne served as Director of IS and the Missouri Department of Health and Senior Services’ (DHSS) Local Security Officer for a local children’s hospital.